Come along to find out what care and support is available in your area for people who are living with dementia. Over 30 care and support providers for you to meet and chat to. 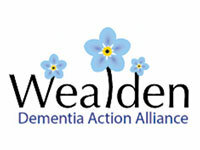 The Uckfield Dementia Forum sits under the Wealden Dementia Action Alliance and works alongside the local community to help Uckfield become a dementia-friendly town. It is made up of a number of key businesses and community groups, including Barclays Bank, Care for Carers, Citizen’s Advice Bureau, Freedom Leisure, Home Instead Senior Care, Know Dementia, Over Sixties Club, Sussex Support Services, Tesco’s, Uckfield Town Council, U3A, Wealden Dementia Action Alliance to name just a few. The forum engages with businesses in the town to promote dementia awareness and to consider and introduce ways through which it can support people living with dementia when they visit the town. Its aim is to make Uckfield a dementia-friendly and dementia-aware town and to make it a pleasant, understanding and less confusing place to be for those living with dementia.